Your smile is what decorates your face… brighten it up with our in-house and at-home whitening options. Over a period of time your teeth tend to pick up stains and appear duller. Teeth whitening is a quick and easy way to produce an instant improvement to you smile. At Chester Cosmetic Dental Centre we provide two options for teeth whitening. In-House or At Home Whitening? 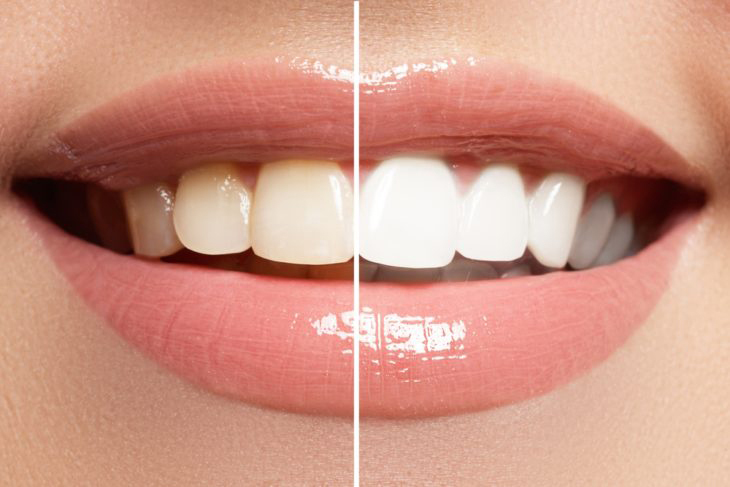 Using the famous Phillips zoom whitening technology we can take your teeth up a few shades within the space of an hour so that you walk out the same day with an instant change. On top of that you get custom made whitening trays included in the package so that you can maintain the shade you want with regular top ups at your own convenience. This can produce a similar result to the in-house whitening but is a slower process. It requires you to wear your custom-made whitening trays every day for 45 minutes for up to two weeks. The trays can be worn while you drive, at work or while you nap in front of the TV. Due to the introduction of European directives and heavy regulations by the general dental council teeth whitening is now delivered safely under the supervision of your dentist. The concentration of the hydrogen peroxide gels used now is regulated to a safe dose. As a result, the complications and side effects have become much less common. The most common side effect of teeth whitening is sensitivity to your tooth and gums. However, this is usually temporary and subsides soon after the whitening is stopped.